New and used construction equipment. Large range featuring Husqvarna construction products, ICS Diamond chainsaws, Norton Clipper, Red Band construction equipment, MBW, Bosch and Marcrist. 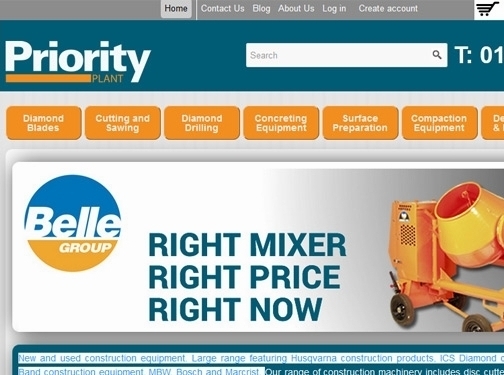 UK (Melton Mowbray, Leicestershire) based business providing construction equipment for sale. Website includes e-commerce facilities, associations, delivery and returns information, detailed "meet the team" page, details of business premises, terms and conditions, full company contact details. Company website has been online since 2009 according to web.archive.org.